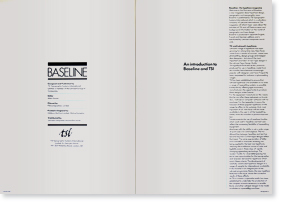 Welcome to the first issue of Baseline – a new magazine about typeface design, typography and typographic news. 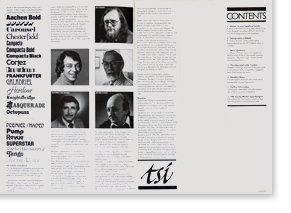 Baseline is published by, TSI Typographic Systems International, which is a subsidiary company of Letraset International. The magazine will inform type-users about the activities of TSI and will feature news and background information on the world of typography and type design. 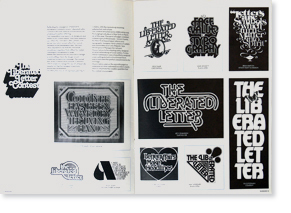 Baseline is produced in separate English, French and German editions and is distributed by Letraset companies, worldwide. 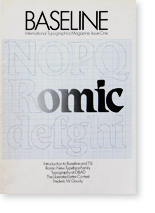 ©1979 Published by TSI Typographic Systems International Ltd. and Letraset Ltd.